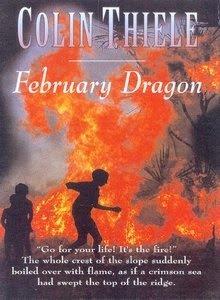 February dragon by Colin Thiele - reviewed by Alex G.
The story is about 3 Australian children, Turps, Resin,and Columbine Pine, and how their lives are affected before, during and after the bushfire 'February dragon' sweeps through the countryside. Rated: 4½ books out of 5 books - "I loved the characters, but the story got a bit boring in the middle, but got better. I‘ve also watched the DVD based on the book 'Storm Boy' by the same author." 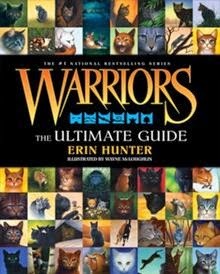 This is the ultimate guide to the cats (characters) and clans of the Warriors series by Erin Hunter. Rated: 5 fluffy cocos out of 5 - "The guide is a sort of a spoiler.. and for those that don’t know the series it is based on the life of wild cats that speak (so are not real) and the 4 clans.They’ve all got cool names." The book is about a 15 year old teenager who has never kissed a girl. He goes to a witch who can read people’s minds. She gives him an invisible lipstick that makes any female want to kiss him. It works really well, with him being kissed by every girl in his class and even one of the girls' mums! He is kissed by the popular girl and yuck, by a pig in the end. Rated: 5 happy faces out of 5 - "It is really funny. The story has a great ending with a twist". It is about 4 friends (Eddie, Scott, Winks and Cassie) who are pushing for Eddie to drive a car. They take a parent’s car out one night (illegally) to practice, to make sure Eddie gets his licence. 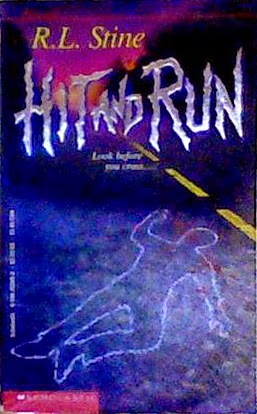 They crash and hit a person, and think they have killed him. But have they? Rated: 4 our of 5 - "I really enjoyed this book, but I also like to read WW11 books like the Morris Gleitzman series 'Once, Then, & After'." Billie goes to the movies with friends. She wants to watch Angelina Ballerina, but Rebecca’s older sisters want to watch a horror movie.There are 3D screen ghosts and haunted houses.. then Billie has bad dreams. Rated: 5 Ghosts out of 5 - "I love the Billie B. Brown series!" The way of the warrior : bk. 1, Young Samurai series by Chris Bradford - reviewed by Alex W.
The book is about the adventures of Jack Fletcher, who is shipwrecked off the coast of Japan. His father and crew are assassinated by ninja pirates. To survive in a strange country, he trains as a young samurai. He learns how to use the 'bokken' (sword) and he is involved in hiding the 'rutter' (a navigation book) which is valuable to everyone. He gets revenge on behalf of his father by getting the rutter in the next book. Rated: 5 out of 5 - "If you like this one.. there are others in the series you can read."